A Collection of photo galleries of the Boise State mens and womens golf teams. Collection of photo galleries of miscellaneous special events in and around the Boise Idaho area. A Collection of photo galleries of the Boise State wrestling team. 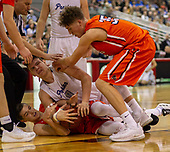 Collection of photo galleries of miscellaneous Idaho High School State Tournament games such as cross country, wrestling and tennis. This collection of photos include the highlights of the 2004 Boise State Broncos 11-2 football season. A Collection of photo galleries of the Boise State swimming and diving team. A Collection of photo galleries of the Boise State softball team. 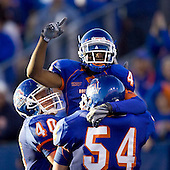 This collection of photo galleries include games from the 2009 Boise State Broncos football season. 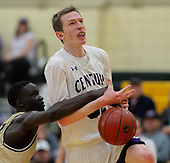 Collection of photo galleries of miscellaneous Northwest Nazarene University, College of Southern Idaho and Albertson College of Idaho sporting events. 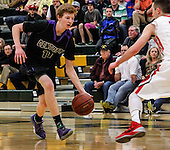 Collection of photo galleries of miscellaneous Idaho High School State Tournament basketball games. A Collection of photo galleries of the Boise State team. Collection of photo galleries of miscellaneous news events in and around the Boise Idaho area. Collection of photo galleries of miscellaneous places of interest. Collection of photo galleries of individual athletes, politicians and people of interest. Collection of photo galleries of miscellaneous WAC, PAC 10, and NCAA championship Tournaments. 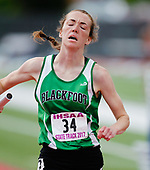 Collection of photo galleries of miscellaneous regional sporting events in and around the Boise Idaho area. This collection of photo galleries include games from the 2005 Boise State Broncos football season. This collection of photo galleries include games from the 2006 Boise State Broncos football season. 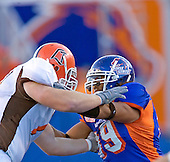 This collection of photo galleries include games from the 2008 Boise State Broncos football season. Collection of photo galleries of miscellaneous Idaho High School State Tournament baseball games. A Collection of photo galleries of the Boise State mens and womens tennis teams. Collection of photo galleries of miscellaneous Idaho High School State Tournament football games. A Collection of photo galleries of the Boise State soccer team. This collection contains photo galleries of the Boise State Bronco womens basketball team. 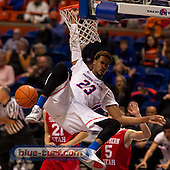 This collection contains photo galleries of the Boise State Bronco mens basketball team. A Collection of photo galleries of the Boise State volleyball team. This collection of photo galleries include games from the 2007 Boise State Broncos football season. Photos of the 2018 Famous Idaho Potato Bowl between the Western Michigan Broncos and the BYU Cougars. BYU beat Western Michigan 49- 18. Photos from the 11-03-2018 Boise State vs BYU football game on the blue turf in Albertsons Stadium. The Broncos defeated the Cougars 21-16. Photo highlights of the Boise State vs San Diego State football game on 10-06-2018 in Boise Idaho. Photos of the 2010 Tostitos Fiesta Bowl in Tempe Arizona between the Boise State Broncos and the TCU Horned Frogs. The Broncos won the football game 17-10. Photos of the 2010 Boise Junior Tennis Championships. Photos of the Boise State womens golf team vs. the Idaho State Bengals in Boise Idaho. Photos of the Boise State football 2010 Spring Scrimmage played in Bronco Stadium in Boise Idaho. Photos of the Boise State womens basketball team vs. San Jose State in Taco Bell Arena in Boise Idaho. Photos of the Boise State Track and Field 2010 Heritage Open at the Jackson's Indoor Track and Field complex in Nampa, Idaho. Photos of the Boise State Track and Field 2010 Jacksons Open at the Jackson's Indoor Track and Field complex in Nampa, Idaho. Photos of the Boise State Swimming and Diving team competing against the San Jose State Sp[artans. Also includes photos of the intermission belly flop competition put on by players from the Boise State football team. Photos of the Boise State mens Tennis team vs. Weber State in the Boas Indoor tennis complex in Boise Idaho. Photos of the Boise State womens basketball team vs Nevada in Taco Bell Arena in Boise Idaho. Photos of the Boise State Track and Field 2010 Boise State Open at the Jackson's Indoor Track and Field complex in Nampa, Idaho. Photos of the Boise State Bronco gymnastics team vs. Portland State in the Taco Bell Arena in Boise Idaho. Both teams wore pink to help raise awareness of Susan G. Komen for the Cure. Photos of the Boise State wrestling team vs Oregon State in the Taco Bell Arena in Boise Idaho. 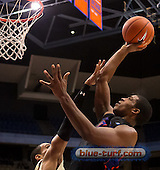 Photos of the Boise State Broncos basketball team vs. Cal State Bakersfield in Taco Bell Arena in Boise Idaho. Photos of the Boise State Broncos womens basketball team vs. the Idaho Vandals in Taco Bell Arena in Boise Idaho. Photos of the 2010 WAC Indoor Track and Field Championships held at the Jackson's Indoor Track and Field complex in Nampa, Idaho. Photos of the Boise State Broncos womens basketball team vs. the La Tech Bulldogs in Taco Bell Arena in Boise Idaho. Photos of the Boise State Broncos basketball team vs. San Jose State in Taco Bell Arena in Boise Idaho. It was also Senior night. Photos from the press conference where Boise State announced that former Gonzaga assistant coach Leon Rice was the new mens head basketball coach at Boise State University. Photos of the Boise State Bronco tennis team vs the Idaho Vandals at the Appleton Tennis Complex on the Boise State campus in Boise Idaho. Photos of the Boise State Bronco tennis team vs the New Mexico State Aggies at the Appleton Tennis Complex on the Boise State campus in Boise Idaho. Photos of the 2009-2010 Western Athletic Conference Soccer Tournament Championship match between the Boise State Broncos and the Nevada Wolf Pack held at the Boas Tennis And Soccer Complex in Boise Idaho.. Photos of the 2009-2010 Western Athletic Conference Soccer Tournament match between the Boise State Broncos and the Utah State Aggies at the Boas Soccer and Tennis Complex in Boise Idaho. Photos of the 2009-2010 Western Athletic Conference Soccer Tournament match between the Boise State Broncos and the Fresno State Bulldogss at the Boas Soccer and Tennis Complex in Boise Idaho. Photos of the 2009-2010 Western Athletic Conference Soccer Tournament match between the Nevada Wolf Pack and the New Mexico State Aggies at the Boas Soccer and Tennis Complex in Boise Idaho. Photos of the 2009-2010 Western Athletic Conference Soccer Tournament match between the Nevada Wolf Pack and the San Jose State Aggies Spartans at the Boas Soccer and Tennis Complex in Boise Idaho. Photos from the 2007 Fiesta Bowl between the undefeated WAC Champion Boise State Broncos and the Big 12 Champion Oklahoma Sooners in University of Phoenix Stadium in Glendale Arizona. Described as one of the greatest football games ever due to the miraculous finish where the Broncos used a 'half back pass', the 'Hook and Ladder' and the 'Statue of Liberty' plays to win the game in overtime 43-42.